Consumers simply want to BE sustainable without having to figure it all out for themselves. People desire instant access to a sustainable life. There has been a supply side failure in the real estate industry to provide sustainable lifestyle options. Consumers want to live sustainably so we can stop killing the planet, but obsolete urban infrastructure systems and inefficient utility supply chains make it virtually impossible. Population growth, resource scarcity and rapid urbanization are driving exponential growth in market demand for a sustainable solution. 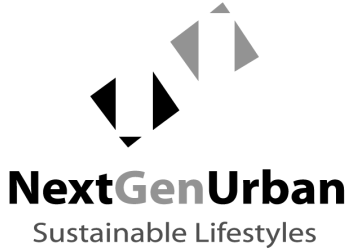 NextGenUrban is addressing this pent up demand for sustainable lifestyle solutions. Now all new growth can be sustainable growth. Home buyers will finally be able to move into neighborhoods that sustainably provide all of life's necessities including water, energy, food, and fuel. Gone are the days of dysfunctional broken cities. NextGenUrban is here. We deliver sustainable, zero-waste, carbon neutral neighborhoods that put our residents on a hassle-free platform for their sustainable lifestyle. There has been a supply-side failure to provide a solution to obsolete urban systems. This has created pent up demand for sustainable communities. NextGenUrban provides the solution. Future demand will be driven by global population growth, resource scarcity and rapid urbanization trends, that create the urgent need for a scalable solution. Combining real estate development and sustainable infrastructure as a service is a formula for driving stronger asset values, reducing risk, improving the value proposition and increasing financial returns. Our self contained neighborhoods function better, are less expensive to build, and are capable of monetizing infrastructure assets through the "Sustainable Infrastructure as a Service" business model. NextGenUrban is changing the real estate development paradigm. Our approach is to internally produce and deliver all required utilities and services using modular infrastructure. This simplifies the development process and increases our speed on bringing product to the market. The model lowers risk by eliminating uncertainties and reducing time exposure of capital. Modular and scalable infrastructure eliminates repetitive engineering tasks and improves profit margins. The result is a value proposition that fulfills unmet consumer demand for sustainable lifestyles while providing a market solution to many important global challenges. Our specialty is developing sustainable lifestyle communities featuring nature based recreational opportunities at some of the world's most beautiful locations. Our pipeline of projects include 7 master planned communities covering a total of 4,500 acres. Our projects are more profitable than traditional real estate projects because they cost less to build operate and maintain while creating new profit centers. We deliver a better product, get it to the market faster and control risk while maintaining higher profit margins. Providing consumers a physical platform for a sustainable lifestyle helps address society's most urgent challenges including; climate change, resource scarcity, rapid urbanization, health & wellness, equal & fair access to critical resources, and environmental protection. We also help families build wealth through equity interest in their neighborhood infrastructure and big savings on utilities while improving their quality of life. NextGenUrban puts society on the path toward hassle-free sustainability. Our product creates positive impacts on the social, economic and environmental levels as well as profound benefits across a wide spectrum of our global society. We are helping to solve the world's most urgent need for sustainable growth while liberating our residents from the inefficient global supply chain for their most critical resources of water, energy, food, & fuel. NextGenUrban provides an urban growth platform that solves market inefficiencies and address our most urgent global issues with one elegant solution. We provide the hassle free sustainable lifestyle that consumers want and the globe needs to ensure a bright future. So you can spend your time enjoying the important things in life. The way we are living is killing the planet. Our turn-key sustainable communities internally produce and deliver all required utilities and services including water, energy, food, and fuel by capturing and converting all waste, sewage and trash, and using only the renewable resources on-site. As a modular and scalable platform with a pre-arranged finance package we enable rapid and repeatable deployment of entire neighborhoods on a scale that satisfies the massive consumer demand for sustainable lifestyles as a service.